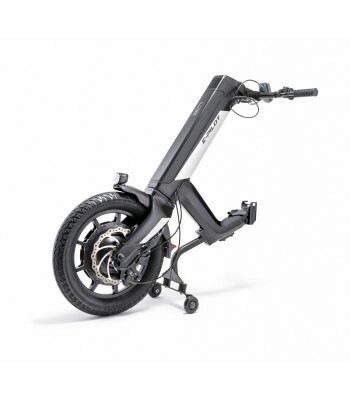 KLICK ELECTRIC is a powered hand bike that will take you on an adventurous cruise, an outdoor trip with your friends and loved ones, on a shopping spree in town or help you do your day-to-day activities. It is suitable for different settings and environments and thanks to its small turning radius, is easily manoeuvrable in small places. Go for a ride! The innovative KLICK Linking System Klaxon® (Worldwide patent approved) allows for your favourite KLICK hand bike to be connected and disconnected within seconds. The universal connection hub adapts to all manual wheelchair types, including foldable wheelchairs. 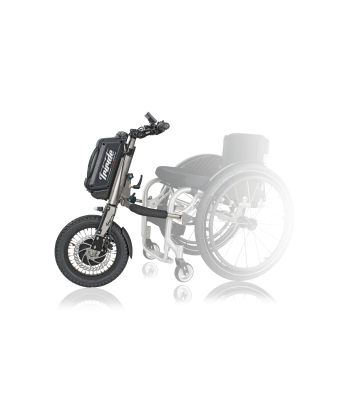 Experience a new level of freedom without compromising the manoeuvrability and comfort of your manual wheelchair. Line-up. Engage. KLICK.